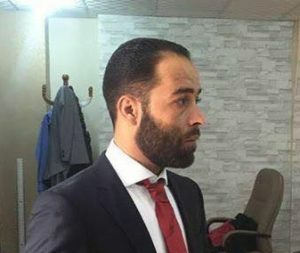 In what seems to echo the wider House of Representatives (HoR) amnesty that has seen release of Saif Al-Islam from Zintan, Haitham Tajouri’s Tripoli Revolutionaries’ Brigade (TRB) has freed 30 Qaddafi-era officers and doctors who have been held in Tripoli for almost six years. Among them were two army brigadiers, Naji Masoud Hariri and Sharif Mohamad Benniran, three colonels, Mohamed Abdulrahim Abdullah, Fathi Ibrahim Mabrouk and Salem Awaidat and a doctor, Tahir Ahmed Al-Marghani. The TRB said on its social media page that it had spared no effort to look after the freed men. It did not however say from which prisons they had been released. The TRB statement came as the Government of National Accord’s (GNA) interior ministry said that all prisoners previously held in Hadba prison, recently evacuated due to intense fighting in Tripoli, had been moved to a safe place. The identity of the prisoners was not given. Former intelligence chief Abdullah Al-Senussi, under a death sentence after his trial last year and Saadi Qaddafi who was still being tried were among top former regime officials held at Hadba, within which a special courtroom had been built. Tajouri and his TRB seized Hadba last month from its governor the former LIFG fighter Khalid Al-Sharif. Reports at the time said Senussi and Saadi had been moved to Fornaj prison while others were taken to Ain-Zara. The TRB urged human rights organisation to debrief to the former detainees to establish the conditions in which they had been held over the last six years. The release of the men has been welcomed by the Libyan National Council for Civil Liberties and Human Rights. Meanwhile, the Abu Sleem Central Security Force (ASCSF) has announced the discovery of what it described as a network of secret prisons in Tripoli’s Airport Road area. Together with the Rada Special Deterrence Force they raided the sites and said they discovered evidence of torture. The ASCSF did not say if anyone was found incarcerated in these prisons but it said there would be an enquiry into how such places could exist.